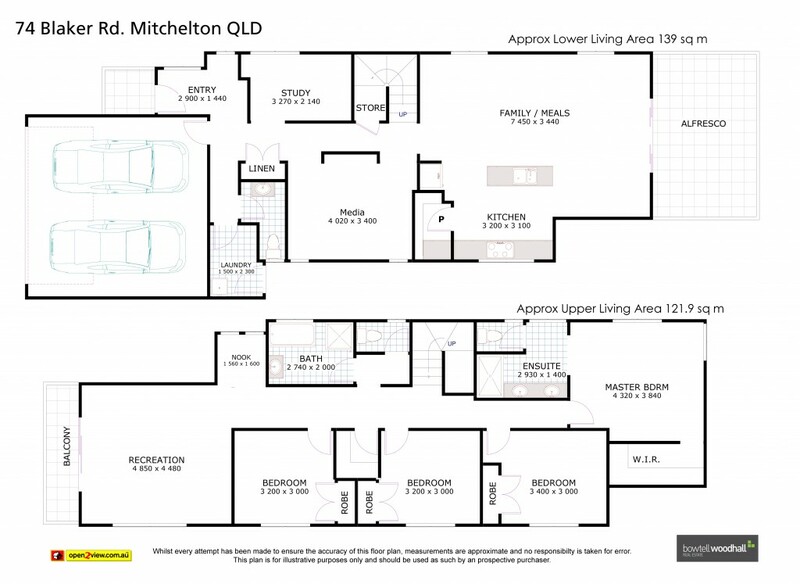 Presenting 74 Blaker Road, Mitchelton. Positioned in a convenient Mitchelton location, this brand new two-level home showcases contemporary features, quality fixtures and fittings throughout and is just the perfect residence for the executive couple or family seeking a low-maintenance, quality lifestyle. Inside you will discover a cleverly designed floor plan providing multiple living areas, along with space and privacy. Downstairs offers an open plan kitchen, dining and lounge area flowing out to a covered outdoor entertaining area - perfect for those long barbeques with friends, or to just sit and admire the terraced landscaped gardens. The gourmet kitchen is a delight - with stainless steel Blanco appliances, gas cooking, stone benches and large walk in pantry with bench. Upstairs features a massive living or family room and balcony, as well as 4 large sized bedrooms, all with walk in robes, including a fabulously appointed master bedroom complete with a stylish ensuite and oversized walk in robe. With great street appeal, you have it all here! There is nothing left to do but move in and start enjoying the great lifestyle on offer! For more information about the property, or to arrange a personal inspection, please contact Torstein Woodhall on 0407 174 194 or Steven Bowtell on 0417 614 041. The Sustainability Declaration is available upon request from our office at Shop 2, 31 Blackwood Street, Mitchelton.